Winger Julian 'The Bus' Savea has been dropped from the All Blacks squad for the Rugby Championship. Julian 'The Bus' Savea during a New Zealand All Blacks training session in this July 4, 2017, photo. All Blacks coach Steve Hansen has recalled prop Nepo Laulala and fleet-footed winger Nehe Milner-Skudder to his squad for the first time since 2015, while dropping Julian Savea for the Rugby Championship. Milner-Skudder, named World Rugby's 'Breakthrough Player' in 2015, was included in the 33-man squad released on Monday after missing much of the past 18 months following shoulder surgery last year and then a broken foot earlier this season. Waikato Chiefs tighthead Laulala played the last of his four tests against Australia in 2015 before suffering a serious knee injury and will hope to break back into the side for the Rugby Championship opener against the Wallabies in Sydney on August 19. Prolific try-scorer Savea, nicknamed 'The Bus' for his bruising running game, is the notable omission from the Kieran Read-captained squad, losing out to Milner-Skudder, Israel Dagg and Waisake Naholo among the outside backs. Savea, who turned 27 on Monday, has scored 46 tries from 54 matches but has struggled for form this season. He was relegated to the bench for the Wellington Hurricanes' recent semifinal loss to the Lions in Super Rugby, with teammates Milner-Skudder and Wes Goosen chosen as the starting wingers. "It's pretty hard news to hear ... He is disappointed and so he should be," Hansen told a media conference in Christchurch. "He's done a lot in the jersey. He's enhanced it while he's worn it. As I said before, his time's not over." With tighthead prop Charlie Faumuina and flyhalf Aaron Cruden heading to France, Hansen was forced to make changes from his squad that drew the series with the British and Irish Lions. 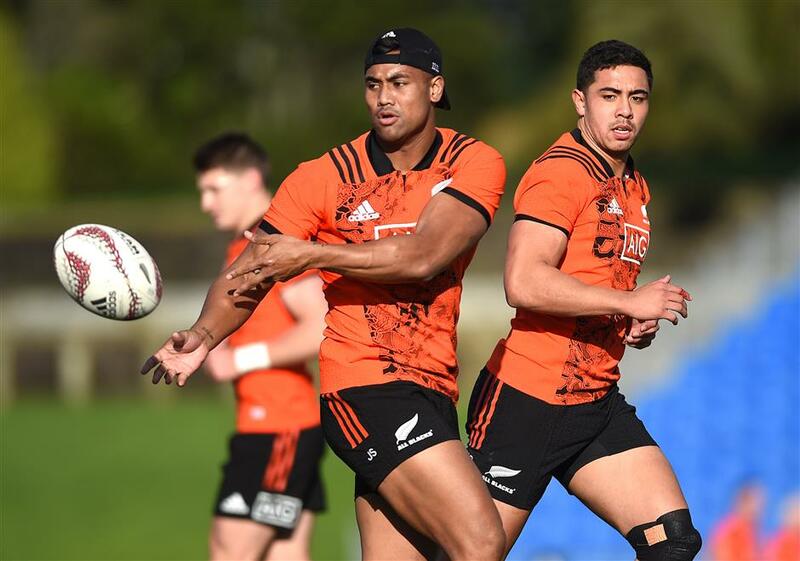 Flyhalf Lima Sopoaga is now expected to take on a greater role as Beauden Barrett's backup, while Chiefs playmaker Damian McKenzie could also see some action in the No. 10 jersey. McKenzie has mostly played fullback in Super Rugby but both Hansen and new Chiefs coach Colin Cooper have said they see his future at flyhalf. He was named as a replacement in the squad, with team vice captain and fullback Ben Smith available for just the opener against the Wallabies and the return game in Dunedin the following week before he takes a sabbatical until next year's Super Rugby season. The All Blacks' first two matches double as the openers for the three-match Bledisloe Cup, the annual series contested with the Wallabies. New Zealand has held the Cup unchallenged since 2003 and is the reigning holder of the southern hemisphere Rugby Championship, which includes South Africa and Argentina. "The first two Bledisloe Cup matches will set the tone, as we know the Australians will throw everything at us, while we're expecting the South Africans and Argentinians to be as bruising and physical as always," said Hansen.